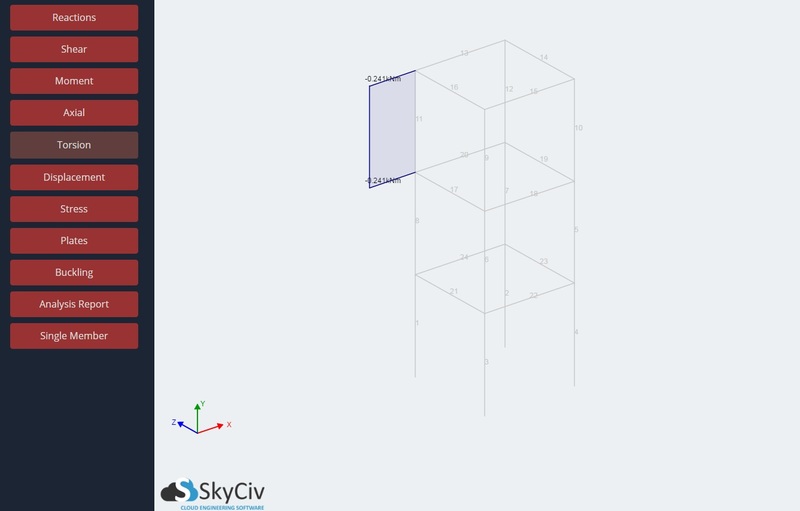 Display the single member torsion moments acting on each member of your structure. 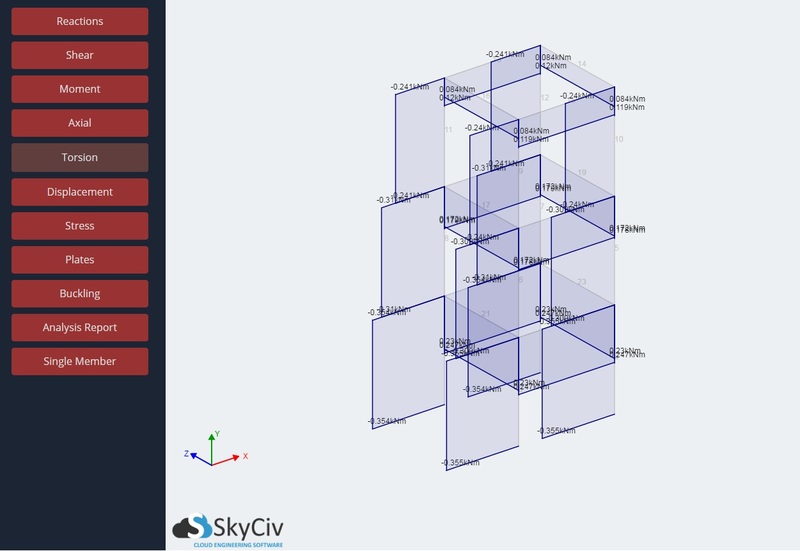 Torsion moment diagrams are overlaid onto each member of your structure. The torsion moment labels can be dragged to improve clarity. You can reset the position of the labels by rotating or dragging the structure. Clicking an individual member will allow you to view the torsion moment diagram for that member whilst hiding all others. To reshow the other shear force diagrams, reclick the Shear button on the left navigation menu.